Here at Coast GC we specialize in designing and building beautiful barns and equestrian stables and arenas. 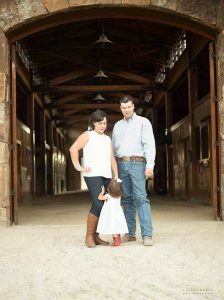 We’ve worked with a variety of ranch owners throughout Santa Ynez Valley, Santa Barbara County, the Central Coast, and beyond to construct their dream set up for horses, livestock, and more. We pride ourselves in quality craftsmanship, and attention to detail to please the perfectionist. If you own horses and are looking to build and design your own equestrian arena, or stables, contact us to discuss your project. You should understand that your dream can only be achieved through proper planning, detailed research and a lot of patience. Although the process in its entirety sounds a tad bit overwhelming, we’ve overseen many barn projects from start to finish. When looking for qualified equestrian construction and contractors, seek experienced, knowledgeable, professional contractors. Licensed professionals such as ourselves, are more than happy to give you advice, and a free estimate on how to plan your facility. Planning, research, and budgeting is key to see your equestrian set up dream become a satisfied reality. 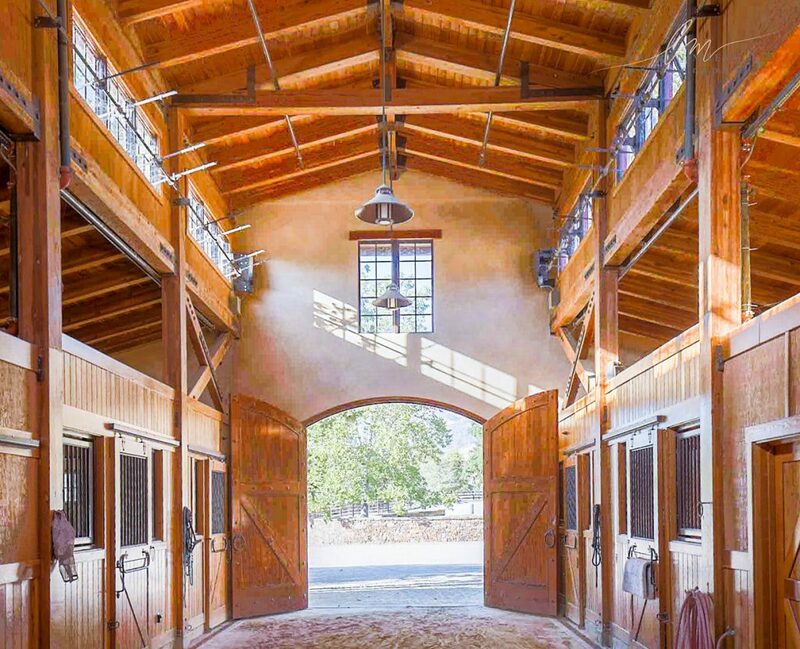 There isn´t a whole lot of custom horse barn builders in California, let alone the world. If you are planning to build a custom horse barn, there are several factors you must first take into consideration. For instance, when building horse stalls, it is always better to think long-term. Materials and spacial design become an important research step. Do you plan to own more horses over time? Or less? You could end up with more horses or livestock than initially planned, and your barn’s design should accommodate a flexible population. When building your stall barn, you must also pay attention to the flooring. We would suggest you to consider a rubber mat system for the floors. You will also need to choose between several horse stall designs and opt for the design that works best for you. Horse stall designs can be based on either interior column type design or clear span type. You will benefit if you add a horse wash stall and dedicated space for a tack room to your horse barn. Building your own arena is not as easy as whistling dixie. There are numerous key points you need to consider before taking the plunge. After you decide on a location that fits your needs, you need to decide on the size of your arena. You will also need to pay special attention to the base and drainage of your construction site. Failure to construct the base and drainage properly can result in soft spots and pooling water. You will also need to choose a surface type. What do you prefer—woodchip, PVC, sand, rubber-mix, or fiber? Of course, you can only go ahead with your project after obtaining the proper planning permission. Consult with us, for recommendations on the best arena qualities for your specific city and property. There are primarily three ways to build a barn. You can acquire a pre-fab barn and have it delivered to the site, hire the services of a construction firm to build a barn, or have an equestrian architect design the barn for you. It is advisable for you to seek the services of an equestrian architect as he/she will be able to understand the needs of your horses and the operational needs of the farm. In other words, just call us. We’ve built these before. 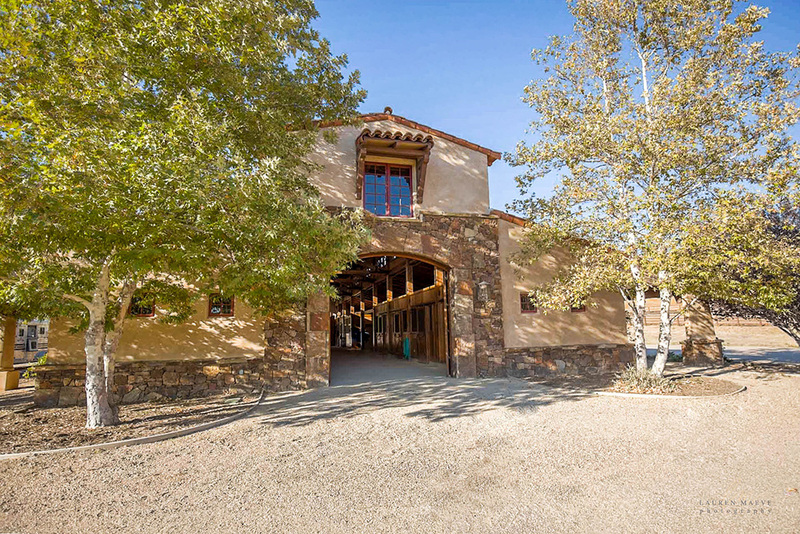 A luxury horse barn is a beautiful investment to compliment beautiful estates and ranches. However, you should be careful when hiring the services of a builder. Not every building company in the construction industry understands the needs of the horse or farm. If you are looking for inspiration, you can always take a quick look at some of our portfolio around California and the Santa Ynez Valely. some famous luxury horse barns in the world include The Versailles Stables, The Grand Stables of Chantilly, Selman Hotel & Stables, and Christiansborg Palace Stables etc.